Residential Solar Installation in San Diego, and Commercial Solar Panel Installation, American Made Solar Panels. Get the best No Money Down Solar Panel Installers in SoCal, Hero Financing ready. Get all your Incentives & Rebates. Have your home running for a fraction of the cost of solar energy and start saving before you get your next utility bill! 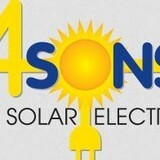 HANDS DOWN THE BEST DEAL ON SOLAR INSTALLATION PERIOD! How much can we save you? Call Now and get a free no obligation solar analysis! 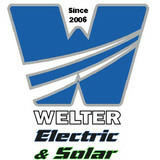 Welter Solar has been serving San Diego county residents since 2006. SD1 Incorporated is focused on developing clean, reliable, low-cost and long lasting energy modules for homes, villages, and businesses world-wide. The modules are scalable and are able to provide wireless communications to SD1's ("SD1") customers as well as local, regional and global content to its users. SD1's first effort, LEXI™, is near completion and the Company is setting its next phase of prototyping, testing and certification. SD1 has identified certain strategic partners and markets that are slated to begin field testing. Early adopters are now registering to be first in receiving LEXI™ for their energy reliability and cost savings. As California solar installers, we will perform load analysis and determine your solar window, then discuss your solar options, energy objectives, system costs and other variables. We are dedicated to finding the solutions that fit your unique needs and circumstances. At HES Solar, our top-priority is to help residential and commercial properties throughout San Diego get clean, reliable energy from the sun. We want to help you do your part in saving the environment and save money doing so. With over 500 installations handled, we are knowledgeable, experienced, and skilled in the latest technology and offer a number of financing options to help you get the high-powered system you need at a price you can afford. Our highly-trained sales team will never upsell you or push you into something you don’t need, and you can count on us to handle all your solar issues. Call (619) 692-2015 today to schedule a free estimate. With over 30 years in the electrical world, having done magnitudes of lead acid battery systems for residential and commercial project, SunFusion Energy Systems started using Lithium Ion Phosphorus large format cells! as this is the safest, cleanest and most powerful mixture the world can offer. We offer a wide range of services specializing in Solar Installation with a blend of handyman services from :painting, plumbing, electrical, drywall repair, and installs. Our services remove all the stress and frustration that comes with home repair and maintenance. As your home improvement project managers, we are committed to providing quality work. BMC Solar Inc prides itself on being the go-to choice for clients looking for Residential Solar Power and Commercial Solar Power services. Semper Solaris is California’s premier solar panel installation contractor and residential roofing contractor! Semper Solaris is a SunPower Elite solar power company and we’ve been honored as SunPower’s Residential National Dealer of the Year! We offer the best solar panels available on the market and we are locally and Veteran owned. Oo-rah! We’d love to crunch the numbers on your power usage and determine the best way to install your solar panel system to save you the most possible money, and while we’re inspecting your roof, we can do any roof repairs needed or put on a whole new energy efficient roof! As the top rated California solar and roofing company, we are also proud to serve Los Angeles County, San Diego County, Orange County, Palm Springs, the Inland Empire, and the Bay Area. If you want the best solar power system and energy efficient roof replacement from the top rated local solar energy company, call Semper Solaris today! 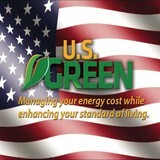 Ask about our HERO approved energy efficient upgrades.